Judging from the coaches and players spontaneous dance moves during their pregame shootaround, the Monmouth University Hawks were ready to square off against a struggling Fairfield University Stags Men’s Basketball team at Webster Bank Arena in Bridgeport, Conn. on Saturday, Feb. 9. Monmouth was able to dance their way to a 61-49 victory against Fairfield, with the Hawks’ Ray Salnave leading the way with a game high 17 points. 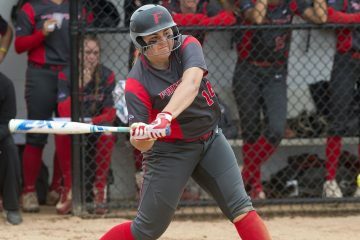 The win keeps Monmouth in first place in the Metro Atlantic Athletic Conference standings, while Fairfield drops even closer to the basement, with their second loss to the Hawks this season. The Stags started out hot with a 7-0 run. However, this would be the only point in the game in which they would possess a lead. With just over five minutes to play in the first half, Monmouth jumped out to what had been their largest lead of the game at that point of 10 points. Fairfield, who had been unable to buy a bucket, would then get a three-pointer from way downtown from their leading scorer on the season, Landon Taliaferro ‘20, who had gone scoreless until that point. Fairfield committed one of the biggest no-no’s in all of basketball, when they fouled a three-point shooter with 4.6 seconds to play in the first half. This summarized their first half, as they trailed Monmouth by 13. Monmouth headed into the locker room on an 8-0 run and with momentum. Monmouth picked up where they left off to begin the second, as they led big at Webster Bank. Fairfield’s Jesus Cruz ‘21 brought life into the stadium by draining a three with just over five minutes left to play, which brought the Stags within 10 points of the Hawks for the first time in the second half. The arena’s life would not last for long, as Monmouth tightened up their defense. Fairfield would miss three consecutive threes with just under a minute to play, effectively turning the game into a free throw shooting marathon for Monmouth. The Hawks secured the 12-point victory in a game in which, after an initial run by Fairfield, they never looked like they had lost control. 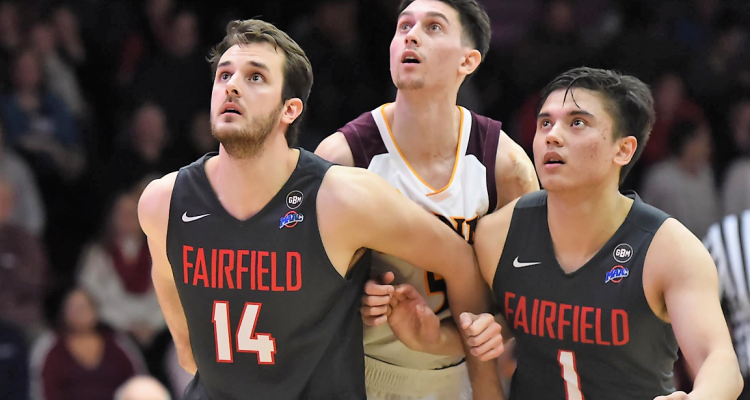 Fairfield’s inability to hit from beyond-the-arc, and not being able to work the ball inside enough, led to them posting one of their lowest totals in terms of scoring the basketball on the season. The Stags cold night from 3-point land helped do them in. Fairfield shot, on average, a solid 35 percent from three for the season, were only able to knock down 15 percent on 5-33 attempts from deep. A bright spot for Fairfield was Guard Taj Benning ‘21. The impressive sophomore, who averages four points a game for the season, led Fairfield with 12 points, tying a career high. 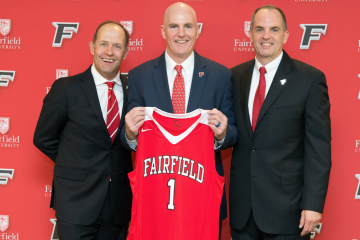 Fairfield will look to bounce back offensively on Friday, Feb. 15, as they take on Canisius College on the road.